Rodrigo Gracie is one of the legendary members of the Gracie family. His father is Grandmaster Reylson Gracie and his grandfather is one of the founders of Gracie Jiu-Jitsu, Carlos Gracie. When Rodrigo was 18 he moved to the United States from Brazil. He began teaching at his father’s academy in California. A few years later, he moved to New York City to train and work with his cousin Renzo Gracie. During that time Rodrigo Gracie won his bracket at the prestigious Abu Dhabi tournament, and won numerous MMA fights in the world’s largest venues of the time (Pride and K-1). Rodrigo now lives in Los Angeles, California where he was welcomed by our teacher Royce Gracie. 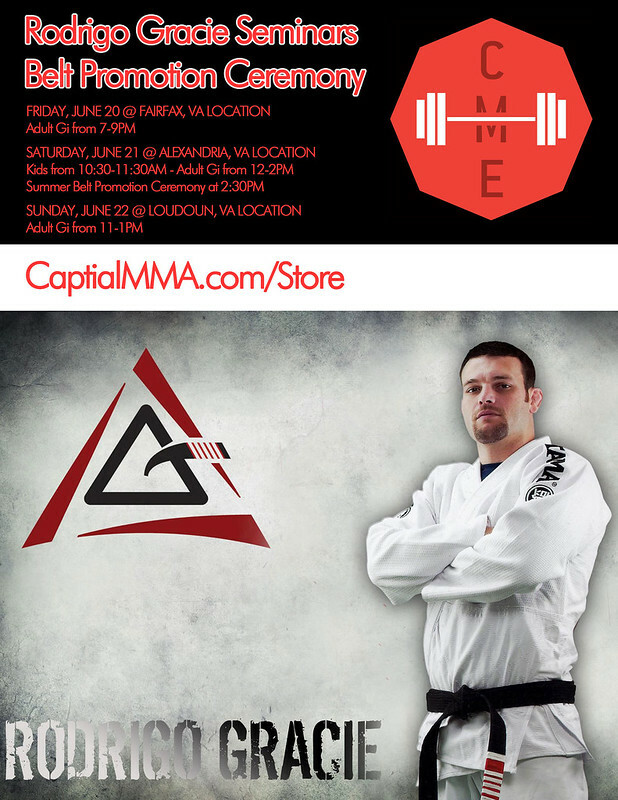 Rodrigo Gracie is the head instructor at the Rodrigo Gracie Academy in Palos Verdes, California. Rodrigo Gracie was invited by Royce Gracie to visit Capital MMA in 2006; since then Rodrigo has been an integral part in ensuring that our students are learning authentic Gracie Jiu-Jitsu. *Get your tickets from Kirstin or Jon.